​Each day we witness the worst refugee crisis of our time unfold. We have come together to do what we can, locally, to make a difference in the lives of just one refugee family. We invite you to join us in sponsoring this family. Our goal is to raise $8,500 by December 31 to support them in their move to Chicago to start new lives. Donations directly benefit the family that we will be sponsoring to help set up their new home. We are working with Chicago-based RefugeeOne—one of the largest refugee resettlement agencies in the country. As co-sponsors, we have agreed to help set up the family’s apartment, greet the family at the airport, cook them their first meal, stock their pantry with foods familiar to their culture; help them acclimate to American culture and their neighborhood; and raise funds to provide for their needs in the first six months. Your tax deductible gift will go directly to RefugeeOne. Funds are used to help pay rent, utilities, and expenses for their first few months in Chicago as they seek employment, learn English, and learn to thrive in their new home. We don't yet know what country the refugee family that will be assigned to us will come from but we are willing to assist any family who needs help and we need to raise money for them now. Currently, RefugeeOne is resettling refugees from many different countries including Afghanistan, Burma, Congo, Iraq, Ethiopia and Syria. Any donation, no matter how small, will make a big difference. Please join us in this effort today! For more information email marybethsova@gmail.com or bawallace913@gmail.com. 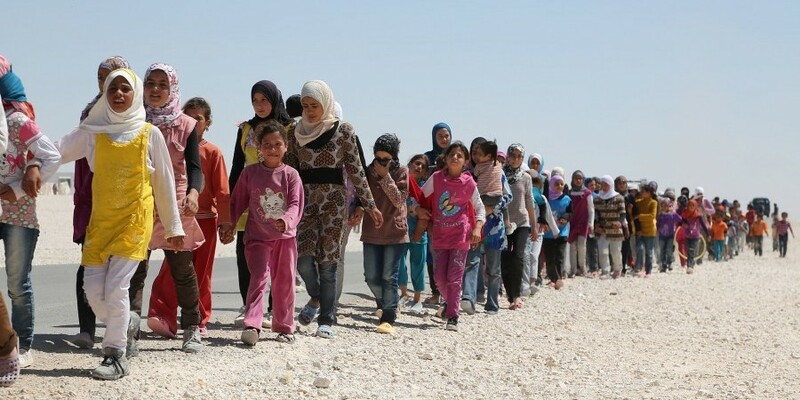 The U.S. is expected to take 115,000 refugees this year.